My primary research focuses on the chemistry of Earth and planetary interiors with a particular emphasis on the role of magma generation and magma and fluid - interaction on the differentiation and chemical evolution of terrestrial planets. I combine experimental techniques and thermodynamical modeling to investigate a range of various processes from magma focusing in the asthenosphere to reactive-cracking in the crust. I will update the posts below with masters, PhD, Postdoc project positions as they become available. But if you have a great idea for a project and would like to work with me please do send me an email, it is always fun to discuss new project ideas and we can investigate funding options. I'm very glad to announce that Otto Lang, who will graduate from Fort Lewis College this summer, will join our team next fall for a Master program in the G & G department. He will work on melt circulation in the mantle and the lower crust. I was selected for the Research Incentive Seed Grant Program by the College of Mine and Earth Sciences. This grant will provide one full year of RA-ship for a future graduate student. Will presented his research and represented the G&G department at the UCUR 2019 at Weber State University. Well Done! Giulio Borghini and I are co-chairing session 06a. Join us to discuss magma formation, transport and differentiation. Will got his UROP Project renewed and will present his research at both UCUR and NCUR conferences. Well done Will! Tuesday at 2:45pm, I will reveal the true nature of the depleted mantle. Join me in session V23A - room Liberty M. - abstract. October 16th: Utah Valley University. New paper accepted in Geochemistry, Geophysics, Geosystems. New paper published in Energy Procedia. William Haddick has been selected to be part of the Undergraduate Research Opportunities Program UROP Fall 2018! Great job! Want to know more about the U-series in basalts? Lynne Elkins will talk about the good, the bad and the ugly of using U-series disequilibria as tracers for mantle lithological heterogeneities. Friday August 17, Session 4i. William Haddick, senior undergrad in the Geology and Geophysics department, will join me this fall for a senior thesis on magma-rock interaction and oceanic crust accretion. 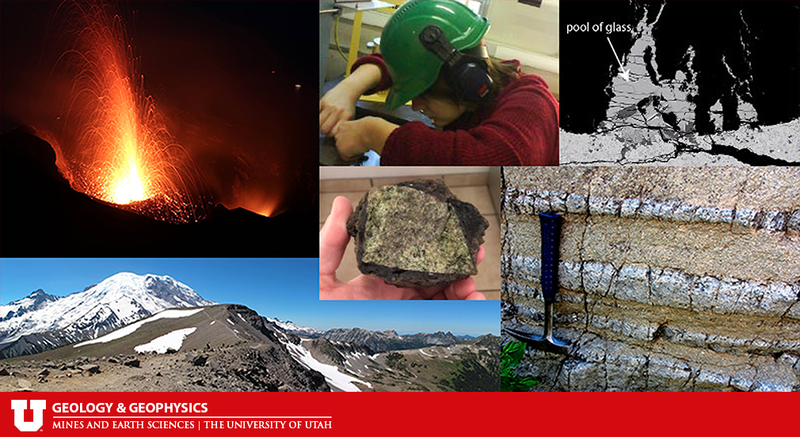 I’m thrilled to annonce that I just joined the Department of Geology and Geophysics at the University of Utah as an Assistant Professor in Igneous Processes. In summer and fall 2017, I worked at V.U. Amsterdam with Janne Koornneef to perform high spatial resolution isotopic analyses on lower crust cumulate rocks. During summer 2017, Matthew Cook performed element maps on oceanic cumulate rocks to characterise the compositional diversity of the oceanic rock for his CUROP project. He successfully presented his work last month. Invited talk in the session 05a: "MORB Petrogenesis: From Mantle Partial Melting to Fractional Crystallization"
New paper published in Geochemical Perspectives Letters. Second year of funding for my NSF project has been approved! I'm excited to announce that I just started (January 2017) a new position as a COFUND fellow in the School of Earth and Ocean Sciences at Cardiff University. I will use a combination of experimental and analytical techniques to reconstruct the evolution of the oceanic crust. My latest article featured in the Editors' Highlight of Journal of Geophysical Research - Solid Earth. And also in the Research Spolight of EOS. I just got confirmation from NSF: My project on the effect of the melting regime for quantifying the mantle heterogeneities has been funded! 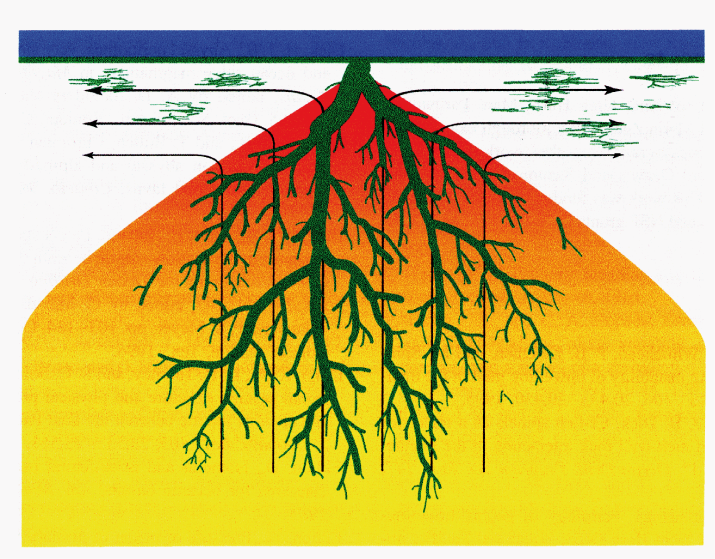 MORB, having formed by mantle melting, retain many characteristics of their mantle source. Hence, MORB has traditionally been the primary tool to map geochemical variations and melting processes of the upper mantle. However, although the mantle has long been established to be compositionally heterogeneous, MORB display relatively homogeneous compositions. This has been suggested to be the result of magma mixing during their travel from the mantle source to the surface. Oceanic cumulates are believed to be the first crystallisation products of MORB once they enter the crust. Hence, they should record the full compositional range of melt compositions delivered to the crust. If so, their analysis would reveal all or part of the mantle heterogeneity hidden in MORB. Furthermore, their compositions record the crustal evolution of MORB, and hence offer the opportunity to reconstruct the processes that control the MORB trace element evolution. Thanks to numerous experimental studies, parameterizations are available to model the melting behavior of peridotite and pyroxenite compositions that are thought to be present in the mantle. Based on these parameterizations, numerous studies have attempted to estimate the proportion of pyroxenites in magmatic sources. However, while these parameterizations are mostly based on batch melting experiments, oceanic basalts are likely to be formed by near fractional melting rather than batch melting. My preliminary calculations show that using a batch melting regime instead of a continuous regime might yield to a significant underestimation of the amount of recycled material in the mantle. A higher proportion of the recylcled material in the mantle has important geodynamical implications in terms of mantle composition and temperature. I'm conducting incremental melting experiments to simulate a continuous melting regime of pyroxenite. Because melt extraction during generation of MORB and OIB is likely to occur via continuous melting rather than batch melting, these new calibrations will allow me to better quantify the proportion of recycled material in the mantle source of the most abundant magmas on Earth. I recently been funded by NSF to pursue this project and I have been invited to present preliminary results at the Goldschmidt conference 2017 - session 5a, in Paris. A variety of data requires that the mantle source for basaltic magmatism is heterogeneous. Models of the melting of such mixtures require knowledge of the relationships between melt fraction, temperature, pressure, and bulk composition for both peridotites and pyroxenites. While various parameterizations are available to model the melting behavior of peridotites, none yet exist to model pyroxenite melting. I used experimental data from the literature to build an empiric model, Melt-PX, that, while remaining mathematically simple, succeeds in capturing the important features of the behavior of pyroxenites melting. Coupled with a parameterization on peridotite , my work permits calculations of how multilithologic mantle sources melt during adiabatic decompression, including the effects of varying the composition and the modal proportion of pyroxenite in such source regions. 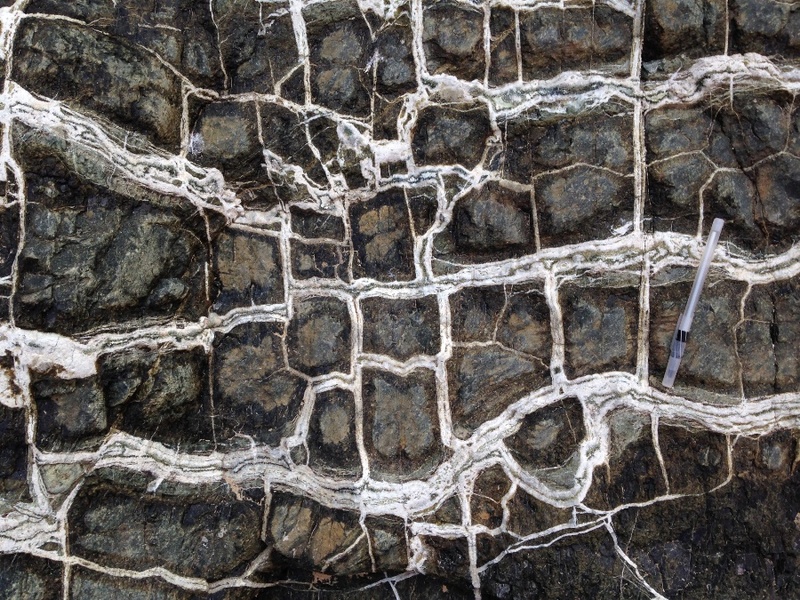 One major result of this study has been to show that a significant portion of mantle pyroxenites can start to melt after the peridotite along an adiabatic path. The final model: Melt-PX, is published in Journal of Geophysical Research - Solid Earth, and can be downloaded here. This study has been featured in AGU Editor's Highlights in EOS Research Spotlight. A previous version of the model has also been used by Shorttle et al. (2014) to determine the proportion of recycled basalt in the magma source of Iceland. The exact nature of the mantle heterogeneity beneath Iceland is discussed in a paper published in Geochemical Perspectives Letters. The observation that anthropogenic CO2 can influence global warming has focused attention on carbon capture and storage. One proposed option for carbon sequestration is to increase the natural process that consists in the conversion of CO2 gas to stable, solid carbonate minerals in peridotites that have been tectonically exposed. Kelemen and coworker propose that peridotites may be able to capture and store billions of tons of CO2 per year and have initiated the Oman Drilling Project. This could make a significant difference in the overall CO2 budget of the planet until alternative energy sources replace global fossil fuel use. But this option needs the development of new engineered methods emulating the natural process (reactive cracking) to create dense fracture networks. More information about ongoing research on “in situ” carbon mineralization in ultramafic rocks can be found here. We performed experiments to understand the effect of the confining pressure on the pressure of crystallization and on the reactive-cracking processes. We show that reactive cracking can occur at depths > 1km, i.e depths relevant for in situ carbon storage and geothermal energy. Preliminary results have been presented at the American Geophysical Union in December 2014 and at the ACEME in June 2015. Our study has been submitted for publication in G-cubed. Several aspects of MORB compositions, including variations in abundance of highly incompatible elements and in radiogenic-isotope ratio cannot easily be explained with a homogeneous source. In order to understand the role of these lithologies for MORB petrogenesis, experiments are necessary. 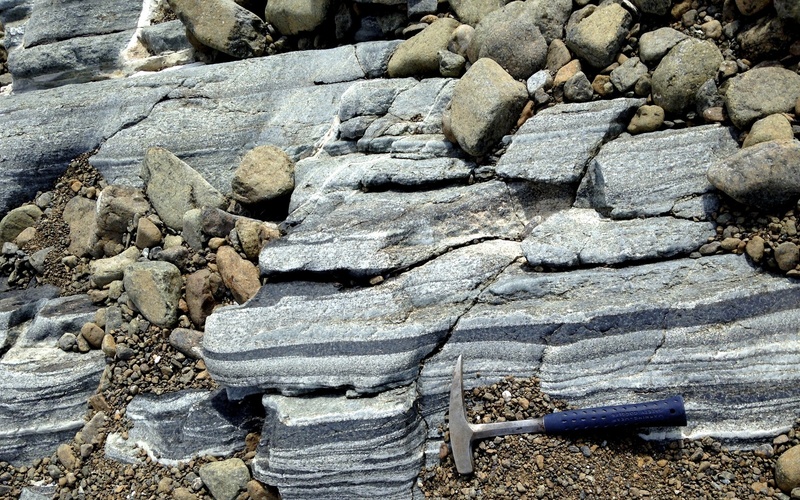 Nevertheless, there are few studies on this rock-type at pressures shallower than 2 GPa and no work was devoted to the influence of this rocks-type in the major element composition of MORB. My PhD work was devoted to experimental determination partial melting behavior of three natural pyroxenites between 1 and 2.5 GPa. To analyze the composition of liquids in equilibrium with mineral phases, I used the "microdike" technique developed by Didier Laporte, which consists of extracting small volumes of liquid into fractures of the graphite container that formed during experiments. For the range of temperatures beneath mid-ocean ridge, compositions of melts from most of pyroxenites are close melt from peridotite. On the contrary, liquids from peridotite and pyroxenites would have contrasted isotopic and trace element signatures. This could explain why MORBs are rather homogeneous in terms of major elements but heterogeneous in terms of isotope and trace elements. Otherwise, some pyroxenites yield melts with a distinct signature, such as a low-SiO2 content and/or a high FeO content, two features usually ascribed to a high average pressure of melting. Thus, MORB with high FeO and low SiO2 contents may reflect the participation of a pyroxenite component in their source rather than a higher pressure of melting. 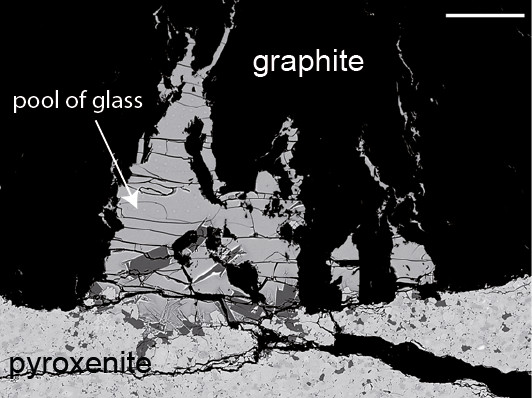 Hence the classical criteria used to select primitive mantle-derived magmas (e.g., MORB glasses with Mg# ≥67) or to track down enriched mantle sources (MORB glasses with high incompatible element contents) must be considered with caution, otherwise melts carrying a pyroxenite signature may be eliminated. This work has been published in 2009 in Earth and Planetary Sciences Letter. I also presented these results during the American Geophysical Union in December 2008. I have been also invited by Lithos to write a review article on the role of pyroxenites in the major-element compositions of oceanic basalts. Interactions between pyroxenites and/or pyroxenite-derived melts and the surrounding peridotites might have a significant role on melt extraction dynamics and, ultimately, on the preservation of a pyroxenite signature in aggregated melts erupted at the Earth's surface. Here, we try to evaluate the fate of melts from pyroxenitic sources during their transport through the peridotite mantle as functions of their composition, P-T conditions and the physical state (subsolidus vs. partially molten) of surrounding mantle. In order to model these interactions, we use a simplified model of interaction, where peridotite is impregnated by a finite amount of pyroxenite-derived liquid modelled with pMELTS. Concurrently, we perform impregnation experiments in a piston-cylinder apparatus to test the validity of the calculations. Results show that Cpx is systematically produced whereas the Ol and Opx behaviors depend on incoming melt silica activity: if it is lower than the silica activity of a melt saturated in Ol and Opx at the same pressure P and temperatureT,Opx is dissolved and Ol precipitates, and conversely. This has strong implications on the ability of pyroxenite-derived melts to migrate through the mantle. Indeed, Opx dissolution and Ol precipitation facilitates the transport of melt in the system by increasing the porosity and permeability of mantle rocks. Inversely, Opx crystallisation at the expense of Ol may slow down or even stop magma ascent by porous flow. Moreover, the ability of melts to migrate also depends on the melting degree of surrounding peridotite: the reaction with a subsolidus mantle results in a strong melt consumption resulting to a drastic decrease of the system permeability. On the contrary, melt migration to the surface should be possible if the surrounding mantle is partially melted. We illustrate these results in a model for MORB genesis taking into account the implications of melt-peridotite interactions for melt transport and mantle lithological diversity, and the role of pyroxenites for magma genesis at MORs. This work has been published in 2012 in Journal of Petrology. The transport of basaltic melts beneath oceanic spreading centers occurs predominantly in high porosity dunitic channels, resulting from the complete dissolution of pyroxenes in peridotites mantle . 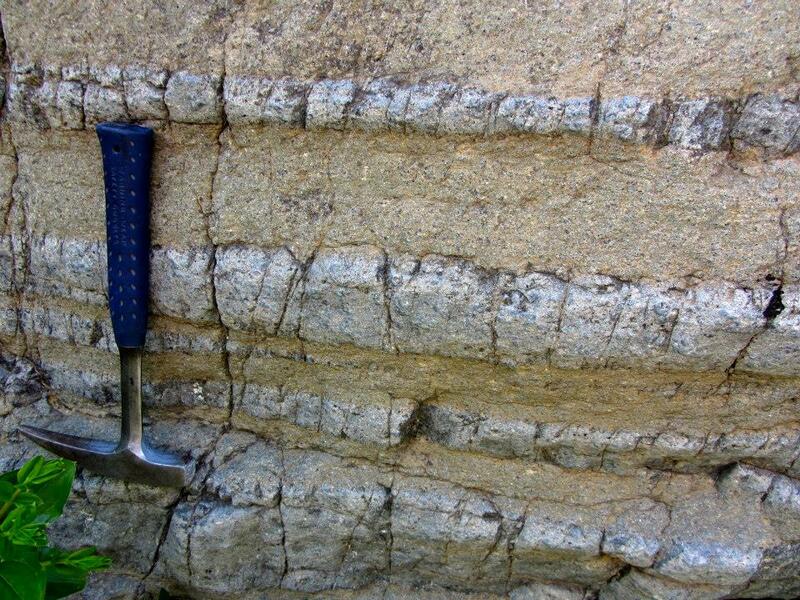 The formation of dunitic assemblages is due to magma focusing that is, to the circulation of important melt volumes in these channels. Many experiments were run in a piston-cylinder apparatus to simulate magma focusing processes beneath oceanic spreading centers, and to study the reaction between peridotites and basalt, as function of pressure and magma/rock ratio. Then, results were compared with pMELTS predictions. We proposed a primitive MORBs formation model, implying: 1) partial melting of lherzolitic mantle at depth, 2) magma focusing involving the formation of dunitic channels and liquids evolution toward primitive MORBs composition by interaction with surrounding dunites, 3) destabilization of high-porosity channels to form dykes is possible at high degrees of melting. Thus, our study confirmed the necessity of dunites formation beneath the oceanic ridges and strengthens the hypothesis that high-porosity channels constitute the main mean of magma transport at oceanic spreading centers. This work is the basis of my research project. It is focused on the genesis of oceanic basalts and combines the experimental data with numerical modeling. It has been published in 2009 in Contributions to Mineralogy and Petrology. I also presented these results during the European Geophysical Union in April 2007. 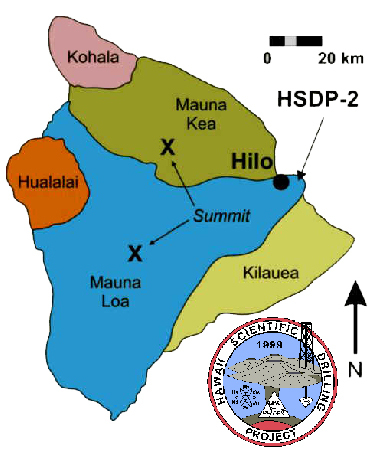 It has been recently shown that the compositional diversity of lavas collected during the second phase of the drilling project (HDSP-2) varies with depth and that samples from the deepest part of the core have the highest variability . In 2013 I supervised Valérie Payré, a first year graduate student from the ENS (École Normale Supérieure, Paris - France) to work on samples collected in this deepest part (3098-3506 mbsl) recovered during Phase-2 (2003-2007) of the HSDP-2 project  in order to better constrain the origin of the compositional variability of these lavas. She conducted the petrographic and geochemical study of glasses using an electron microprobe and thermodynamic modeling using MELTS software  in order to determine the conditions of formation of these lavas (pressure of fractionation, water content, oxygen fugacity). All degassed samples follow a fractionation trend at 5-10 bars. Most of the undegassed (and partially degassed high-SiO2) glasses can be reproduced by simultaneous depressurization and cooling (i.e. from 70 to 25 bars – ΔT = 20°C). Surprisingly, the results also reveal the presence of degassed samples in deep part of the drill. The preferred model to explain this observation is mixing of a relatively volatile-rich, undegassed component with magmas that experienced low pressure degassing (in the conduit or at shallow depth) during which substantial volatile amounts were lost, as previously suggested by Dixon et al. . To confirm this assumption, water and carbon dioxide analyzes have to be performed on these samples.